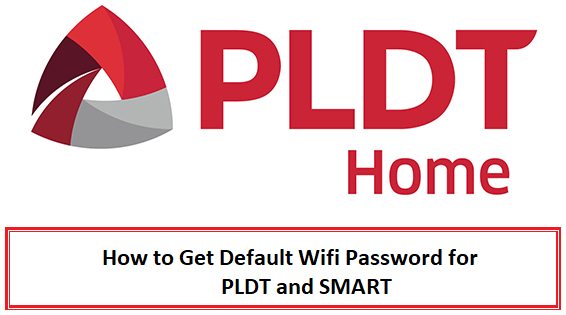 There’s a good chance that your neighbor’s PLDT WiFi might be using the default password on their modems. Also, these default WiFi passwords can be generated using the WiFi network’s SSID. 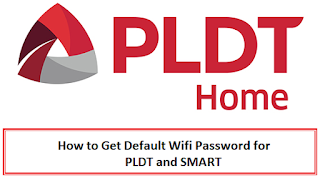 With that said, below are the ways or techniques you can use to bypass your neighbor’s WiFi password.This guide will work on PLDTHOMEDSL, PLDTmyDSLPAL, and PLDTmyDSLBiz. Take the last 5 digit of your MAC Address. If you MAC is c0:4a:00:d0:44:c0, get 044C0. Convert all letters to upper case.Combine PLDTWIFI + 5 digit MAC. Your password will be PLDTWIFI044C0. Some PLDT HOME DSL wifis have their MAC address as a suffix. Make sure that the suffix only contains numbers. Take those 5 digit numbers and multiple them by 3. Example, PLDTHOMEDSL12345, take 12345 x 3 = 37035. You password will be PLDTWIFI37035. Make sure the SSID has an underscore since there is another similar SSID without the underscore. Take the xxxxxx portion of the SSID and convert them with the table below. For example if we have PLDTHOMEFIBR_cdf123, then we take cdf123 and convert them with the table above. That will give us 320edc. Now attach the resulting conversion to wlan (wlan + converted code). Your password will be wlan320edc. Make sure the SSID does not contain an underscore else follow the previous guide. Get the code that represents the xxxxxx in the SSID. Follow the conversion in the previous guide. Attach the converted code into PLDTWIFI. If your SSID is PLDTHOMEFIBR_cdf123, your password will be PLDTWIFI320edc. Take note of the capitalization of the password, the code should be in lowercase while PLDTWIFI is in uppercase. Please see the first guide on how to obtain the MAC Address of your target wifi network. Take the last 5 characters of the MAC address, for example, if we have 00:4a:00:d0:44:c0, get 044C0. Attach the previous code as a suffix in “HomeBro_”. You password will be HomeBro_044C0. Codes are in uppercase format.